Denmark aspires to be a green growth economy independent of fossil fuels by 2050. To do so, Denmark incentivizes renewable and conservation activities and purchases for its citizens not only through taxation but also by improving the built environment so that those activities are easier and become the default behavior. Denmark mobilizes its greatest minds and innovators by offering competitive grants for research and development of renewable resources. And, significantly, the Danish government established State of Green, the public-private partnership charged with connecting citizens, researchers and international interest groups and governments, as well as to serve as a vast warehouse of resources and as the branding agent, promoting green and renewable energy throughout Denmark and beyond. Denmark’s national climate initiatives are impressive. National backing, in public policy and in financial capital, is a remarkable endorsement for the movement. Sadly, such a demonstration of institutional support for climate issues is far beyond reach for the United States: the Danish government system operates with a broad array of political parties and the result is a left-center ideology and culture of cooperation; the US de facto bicameral political climate obliterates moderate views and issues are hijacked by extremist demagogues on both sides. Climate change, despite being a proven and indisputable threat, has been designated within the two party system as a liberal issue. Climate change is not just a threat to liberals and tree huggers: what is threatened is not the planet—the planet will be fine—but rather the threat is to our collective lifestyles and lives. The standard of living and way of life in the US epitomized by the automobile is predicated on the availability of cheap oil energy. Human life itself depends on the delicate chemical balance in the atmosphere and water to which our bodies have acclimated through eons of evolutionary biology. For these blatant reasons, climate change should be considered a national issue free from political trappings. Unfortunately, it very much is not. Even the Federalist system that allows states to legislate issues by regional interest does not mitigate the partisan label for green and renewable energy movements. In Maine, environmental issues are viewed to be perpetually at odds with business interests. Furthermore, the state is ideologically fractioned: right wingers with libertarian ideations and liberal know-it-all “granola”-types. For Pete’s sake, the legislature sees bills every few years seeking to divide Maine into two separate states with the line drawn, unsurprisingly, along the sociopolitical and geographical north/south split. Any comprehensive climate goals and initiatives like in Denmark would not be palatable to the type of conservatives here who refute the evidentiary value of energy conservation to the detriment of their own bottom line (see study showing conservatives will not buy CFL bulbs branded with climate conscious messaging even though it can save them money on their own energy bills HERE). Comprehensive climate change measures may not be possible for the whole state of Maine … yet. When the state is better positioned socio-politically, due to a number of geographic similarities, Denmark will be a great model with such projects as prolific wind farms and algae biomass research (in fact, grants.gov currently lists a large grant for just that in the US). But the Greater Portland area is a prime candidate for the Copenhagen model. Copenhagen aspires to be the first carbon neutral capital by 2025. They are doing so through a holistic plan that addresses the old and inefficient buildings, the energy supply, and how its residents use energy throughout the city. Copenhagen’s city planning recognizes that a city is a living, breathing entity. Static policies and infrastructure changes would meet a great deal of resistance and a community cannot effect positive change without the buy in or its residents. The government could change its internal policies regarding energy use and have some impact, but it would not be an effective way to reach their lofty goal. The City of Copenhagen realizes this, and smartly combines growth, development and liveability in its initiatives to reduce carbon emissions. 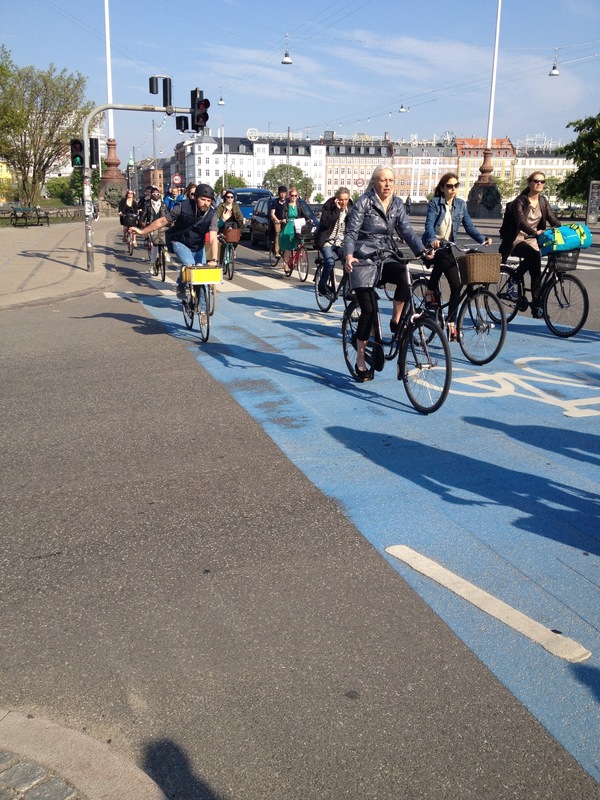 Copenhagen, and Danes in general, exude a “make it work” attitude. Copenhagen street style is evidence of the “make it work” attitude in action. Flats. Neon sneakers with outfits of all variety. Spandex layered under shorter styles. An edgy vibe that won’t be ruined by a little bike chain grease. Laws, initiatives and the built infrastructure to support walking and cycling demonstrate the explicit buy in of officials and interested organizations. Mass fashion, however, demonstrates the implicit adoption of those values by the people. Style of dress is a living artifact of a society, and Copenhagen’s reflects a dedication to green commuting: the fashion does not encumber walking or cycling. Portland is a vibrant community with a diverse population whose diverse ideals and beliefs are on display throughout the city. Diversity could be a limiting agent, but Portland is a small enough place whose residents hold a shared sense of pride. This notion of a collective sense of place is what attracts myriad tourists, and is a big driver in the cooperation of sundry—and oftentimes seemingly oppositional—interest groups. A perfect example of this cooperation toward green initiatives is the Bicycle Benefits program: a perfect marriage of environmental enthusiasts and members of the local Chamber of Commerce, usually unlikely bedfellows. Bicycle Benefits is a progressive bicycling programmed designed to engage individuals and businesses. 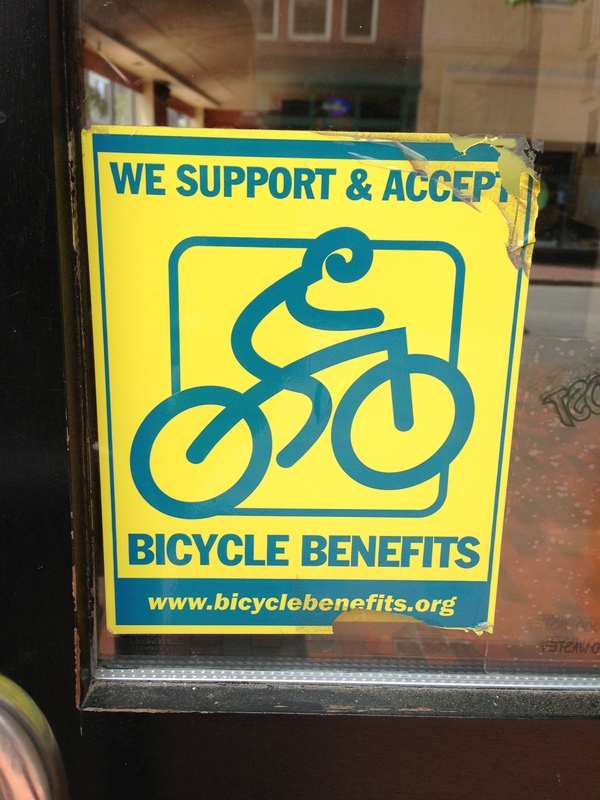 Cyclists are incentivized by discounts at participating business establishments. Businesses are incentivized to participate because more biking customers reduce parking demand, are likely to be repeat customers, and will shop with support of the program in mind. It represents a commitment to promoting bike commuting as a path to sustainability. Fortunately, collective efforts to improve energy efficiency and mindfulness practiced in deference to and in recognition of climate change as an issue will promulgate the message and propagate further innovations. Promulgating the message: Daily activities performed in awareness of energy efficiency will internalize the importance of climate change for individuals and create a larger cultural awareness. A message seamlessly woven into the fabric of daily life has an astronomically stronger impact than any marketing campaign or official decree. Copenhagen both implicitly and explicitly puts this theory to practice. First generation bike commuters have to reframe their daily habits until it becomes ingrained, but future generations will implicitly understand bike commuting as a way of life and hopefully recognize the sustainability undertones. The City of Copenhagen’s recycling program explicitly aims to influence the daily activities of its residents by “starting them young.” Preschool and school age residents educated about recycling and encouraged take the habits back home can influence their families and can champion sustainability throughout their life. Propagating future innovations: The informed cultural climate will provide the opportunity for great minds—who otherwise could have had an entirely different focus—to solve current climate change problems and create new green innovations; these opportunities are engendered by having educational opportunities in sustainability and networks of people dedicated to the cause in varied modalities. Engendering such opportunities does not just make Denmark a leader in green energy and sustainability today: it will ensure that Denmark will remain a leader for generations to come. The Danish position today is not unrelated to their unique and critical experience during the 1970s oil crisis. Portland has a lot of groups and movements that demonstrate fragmented attempts to positively influence residents’ daily habits to be more resource-minded: an impressive recycling program with free curbside pickup and single-sorting which is proven to increase consumer participation, a thriving bike coalition, and a fledgling compost energy program. The Greater Portland community is ripe to emulate the Copenhagen model. Adoption of a new way of thinking that drives results will hopeful spur the rest of Maine to join us.